“Best Places to Work” Awards Luncheon. Hundreds of companies applied for the distinct honor of being one of HBJ’s 104 finalists. 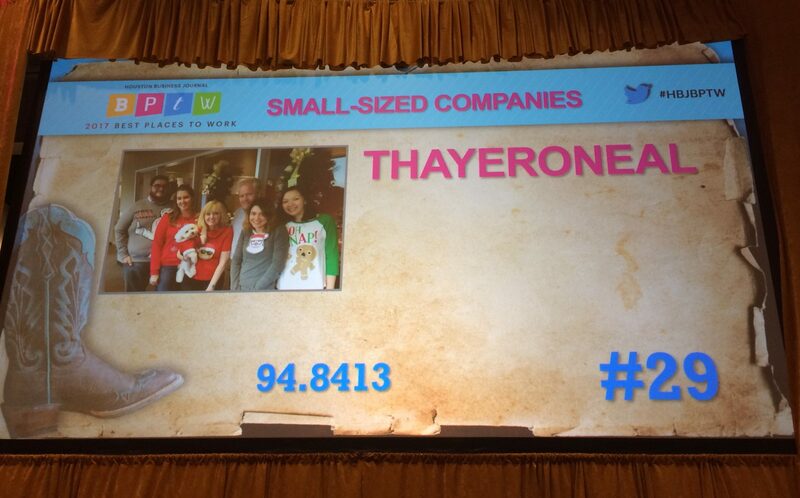 ThayerONeal was 29th in the Small Business Category and super excited for the honor!! !